Almost every company on earth has turned to online advertising and ecommerce to boost their sales. If you think online advertising is the same as a billboard or a salesman ranting about a product he probably just discovered a few hours ago, you're wrong. There's a lot more that goes into running an ecommerce store when you're trying to reach out to millions of buyers. Whether you're a multimillionaire company or just a personal blogger, these eCommerce SEO tips will surely help expand your business. All of your efforts have been wasted, from the best quality products to the most attractive ecommerce store, if you cannot be found easily on search engines. Avoid such disasters and use precise, unique keywords or long tail keyword to target your potential clients. It's ever so important to write fresh, unadulterated content. Your viewers have probably read through ten other blogs in the hunt for the perfect product. Unique and refreshing material, will engage the visitors attention and may even lead to a conversion. When posting a description under a product, get as creative as possible. Insert catchy phrases so that it lingers on the viewer’s mind. The same product is likely to be selling on another site as well. Duplicate content on search engines will only give your page negative points and lower rankings. A simple, organized url structure will help search engine sites find you faster and index your pages. The chances of every store visitor being an SEO wiz is rather slim. An effective url structure makes navigation easier for regular visitors and new viewers, guaranteeing their return. Effective Optimization makes all the difference when increasing your site's traffic. As this is probably the most crucial aspect of your ecommerce store, turn to professional SEO agencies, like Good Monster, an SEO agency in Syracuse, to increase traffic flow which may transition into paid customers. Catchy phrases and innovative descriptions are not completely serving their purpose if they do not have attractive pictures to go along with. Hence, optimizing your product's pictures with relevant keywords to the alt tags is extremely important to boost your site's rankings. By linking products to your store, you can help potential customers find their desired items. Apart from clients discovering your eCommerce store, with the help of links, search engines will identify your page a lot faster too. While easy and simple links will help guide visitors to your page, broken links have a negative impact on visitors, agitating them and giving your store a bad reputation. Make note that popular search engine, Google, offers interesting business tools like G+. These local listings will surely increase your traffic flow. Local listings include all your business details and the best part, it's free. The Google+ Business Page lets you use keywords to describe your business and use customized links. But remember to update your listings to keep your clients well informed. 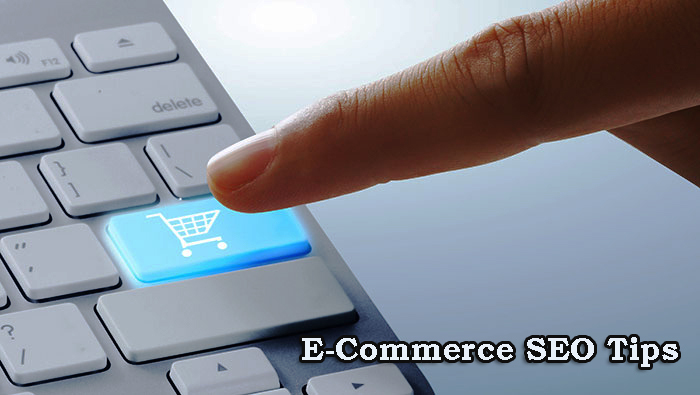 Ultimately, it is the paid customers that are truly one beneficial to your ecommerce store. Keep tabs on traffic numbers through Google Analytics, find out where they're coming from and if your SEO strategies are effective or not and work on it accordingly. Effective SEO methods are sure to convert your visitors into paid customers. Do your homework and optimize your ecommerce store to help your potential clients get faster finds and better buys. Welcome after long time. Thanks for appreciation. For payment gateway we can use paypal. They are offering good service for small online home business. For e-books i prefer click2sell. Anyway thanks for dropping your comment here. Keep coming. Great article. I was confused about the extra keyword boxes. I thought we could add many keywords seperated by commas, but this is not the case. I never considered marketing outside of amazon back to my product pages. Would this help your rankings if amazon see you are pushing people to their store? For getting better traffic from the search engines on your e-commerce website you should focus for long tail keyword research and spying on backlinks of your competitors using different tools like ahrefs and SEMRush.